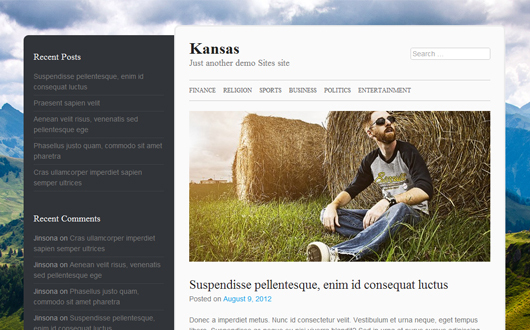 Kansas – This is a 2 column minimalist blog theme . The design is very subtle and elegant which makes it a wonderful theme for personal blogs or journal websites. The theme has features like, custom menu, featured thumbnails, Custom background, theme options, google fonts, etc.